Remake of the first series. 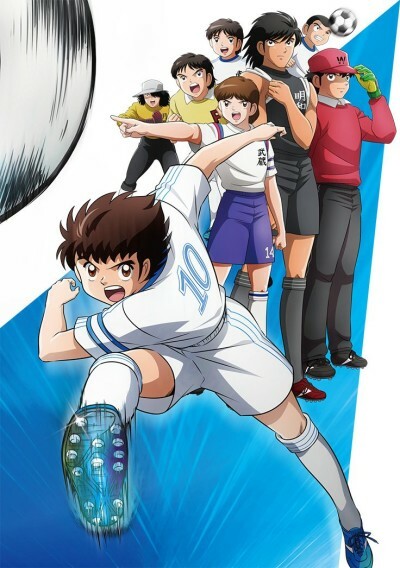 Tsubasa Oozora is an 11-year-old elementary school student who is deeply in love with football and dreams of one day winning the FIFA World Cup for Japan. He lives together with his mother in Japan, while his father is a seafaring captain who travels around the world. Tsubasa Ozora moves to the town Nankatsu to increase his skills as a soccer player. He is challenged by the Super Goalkeeper Genzo Wakabayashi. He then agrees to compete and see who was the best soccer player there. Big visual/audio quality improvement, fast paced and too lighthearted. Less tense/dramatic feelings.